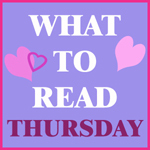 Lorraine Paton: Mae Clair - What to Read Thursday! Yay! It is that time again, when I have the wonderful opportunity to introduce you to my lovely writing friends and their fabulous books. This week, I'm excited to welcome Mae Clair to my blog! I first met Mae through the now defunct Six Sentence Sunday blog hop, where she got me hooked on her debut book, Weathering Rock . 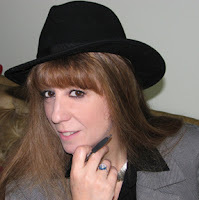 She is a wonderfully supportive and talented writer, and I am so happy to know her! I'm also hooked on her Mythical Mondays! You should check them out to learn about some fascinating myths! Today, she is talking about her latest release, Twelfth Sun and I can't wait to hear what she has to say! Twelfth Sun is shouting at me from the very top of my TBR pile! Is there a particular food / drink you associate with this story? If so, what is it and why? Oh, yes! My hero, Dr. Elijah Cross is a twenty-five-year-old marine archeologist with several personality quirks, one of which is his fondness for grape soda (much to the dismay of my thirty-five-year-old heroine, Reagan Cassidy). The drink gets a lot of attention throughout the novel and even figures into one of the book’s “clues.” I had one reviewer say she’d never look at grape soda again without thinking of Twelfth Sun . Lorraine: LOL-That's great! I love grape soda! I associate it with visiting my grandparents, when they'd fill us up on sugar then send us home. ;) Hmm... now I'm really curious about how it will be used in one of the clues! It’s set during early summer on the eastern seaboard, which seemed a good fit for a story centered around the treasure hunt for a marine artifact. I also created a lavish seaside mansion owned by a mysterious and reclusive billionaire, where my treasure hunt participants gather for the week. I had a lot of fun devising the mansion with its numerous rooms and coastal views. Lorraine: Everything you say about this story just makes it more and more intriguing... a mysterious and reclusive billionaire with a mansion and a treasure hunt? Brilliant! Do you have a favorite scene in this story? Is so, what makes it special to you? I love when Reagan realizes who Elijah is. Her uncle has asked her to meet with his friend, a renowned marine archeologist so that Dr. Cross can authenticate a 19th century journal for him. Reagan agrees, picturing Elijah as a doddering old man with a PhD. The first time she encounters him she has no clue who he is but mistakenly barges into his hotel room (thinking it’s hers) and discovers him coming out of the shower naked. Their second encounter is the following morning when she arrives at the café where she’s to meet Dr. Cross. Elijah walks in and she’s mortified when she puts two and two together. I have a romantic adventure called SOLSTICE ISLAND which will be part of an anthology with three other authors. If all goes according to plan, the book will be available the end of this year. I’ll also be publishing a romantic mystery called ECLIPSE LAKE that involves two estranged brothers, the free-spirited photographer who falls for one of them and a fifteen-year-old missing persons’ case. That should be available in spring 2014. Lorraine: You are busy! And, I love your titles! I can't wait to learn all about them! What has been the biggest influence on your writing career? My parents. My dad was an artist, but he loved to write and passed that passion to me. As a kid, both of my parents took me to the library and shared their love of books. It was a weekly adventure for us. Throughout my life they were my biggest cheerleaders, encouraging me from the first tentative stories I pieced together in grade school. Both have since passed on, but that influence and encouragement has remained the foundation on which I’ve built my writing career. Lorraine: That is wonderful that you've had such great cheerleaders! I think I got my love of books from my mom, too! She always had a big selection of books in the house and we still share books. Lorraine: Whew! What a tantalizing excerpt! A younger man, a reclusive billionaire, a treasure hunt... I'm not sure what entices me more... How about you? I really enjoyed this story. It kept me turning the pages even when I should have been doing other stuff. Fabulous. Hi, Daisy! Thanks so much for dropping by and checking out the interview. Lorraine really had some fun questions. Hi, Lorraine! Just wanted to say thanks for having me as your guest today. LOVED the interview questions you tossed my way, especially that first one. Thanks for the lovely intro too. I'm delighted to be here! Great interview! I'm so glad I participated in Six Sentence Sunday too -- it was the ultimate matchmaker, wasn't it? I got to know so many wonderful writer friends because of it. Thanks, Daisy, for stopping by! Yes! That's just it, isn't it? SSS as matchmaker! Hi, Donna! Another grape soda fan? LOL! I have to admit I don't recall being overly fond of it, even as a kid, but then I'm not a fan of soda at all so that could have something to do with it. I'd be dismayed by grape soda myself. :) Twelfth Sun was a fun mystery. I had a great time trying to figure out the clues. I'm not a grape soda fan either, but it was fun to write about. And quirky. I had a great time dreaming up the clues too. So glad to hear you enjoyed trying to solve them, Emma!